Whenever I am selecting items to wear from my own wardrobe, I make sure to keep my look as simple as possible. Simplicity is the key when it comes to style in my opinion. Which is why my style idol is Victoria Beckham. Whenever I see her in the media she is always effortlessly chic, stylish and sophisticated. Her outfits are very simple; a pair of dark jeans teamed up with a crisp white blouse, designer booties and oversized sunglasses or a Burberry trench coat teamed up with a bag from her personal collection, combined with kitten heels. Her simple figure hugging, long length dresses from her own designer collection are a favorite amongst celebrities. I see a lot of women who add too many accessories to their look or combine different items in clashing colors and think, ‘you should have kept it simple’. My personal tip is to choose one item that is eye catching like a colorful top, a daring skirt or statement jewellery and combine that item with other simple clothing items. It is all about balance in my books. My personal style in a nutshell! Whenever I hit the Indian shops for a special, more traditional occasion I love to create an ‘east meets west’ look. Although I am a big fan of dramatic gowns and eye popping colors when it comes to Indian clothing, I prefer to wear a more subtle look. I would choose a simple sari or lehenga in deep/dark or soft colors and go for styles with simple embroidery. I combine it with modern jewellery pieces to create a little extra shimmer and finish the look with simple strappy high heels and a natural make up look. When it comes to hairstyles nothing beats a straight and sleek style. A perfect balance between Indian tradition, western accessories and simplicity is the way to go for a simple look. 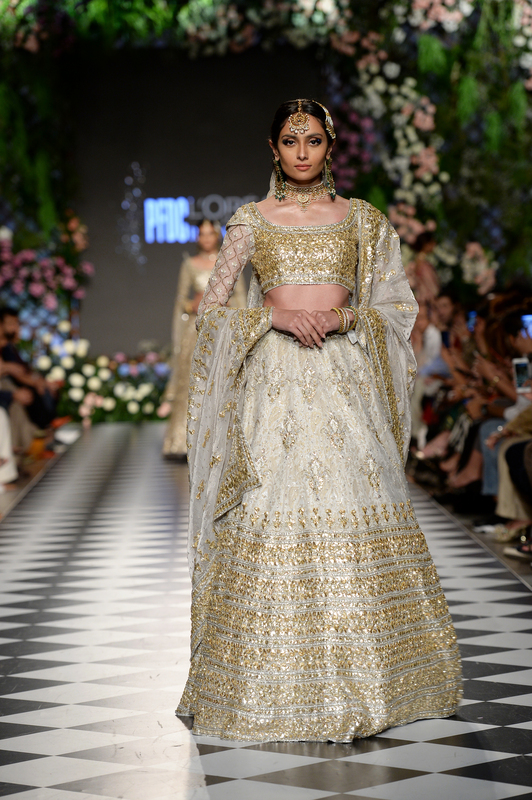 A collection that is very simple and easy on the eyes is the Cream and Gold Collection from Indian designer Anita Dongre. The gold and cream collection is perfect for the summer, it has been crafted from a range of summer fabrics like silks, cottons and georgettes in soft shades of cream and white. 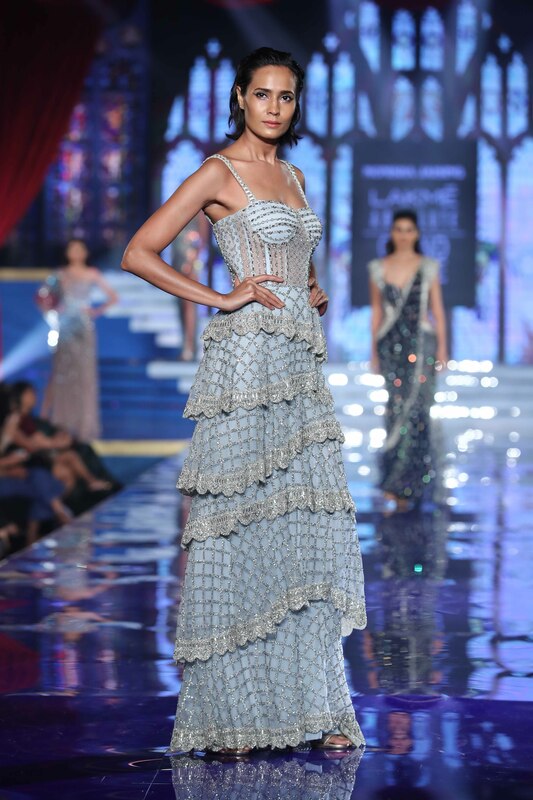 The collection consists of anarkalis, salwaar kameez, lehengas and saris. Those who are not fond of the bright summers neons will love this collection! I like the fine detailing; the golden gotapatti embroidery used to decorate the gowns is very subtle and perfect when you are going for a simple and sophisticated look. Tip: A tip for those fasting during the month of Ramadan is to wear an Anita Dongre Salwaar Kameez to an Iftar dinner.